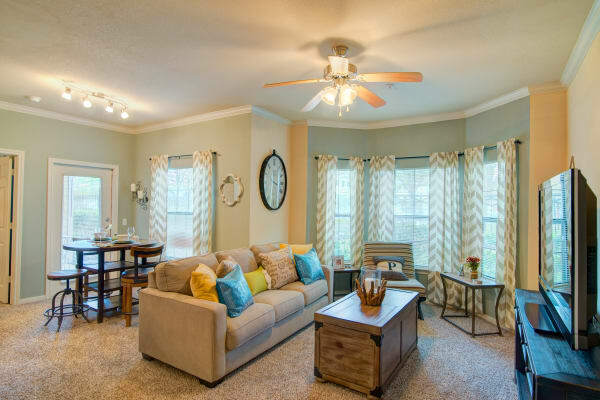 At Park Hudson Place in Bryan, TX, we know the joy of coming home to a relaxing space. That’s why we are committed to providing a resort-style setting for you to enjoy. Our community’s resort-style pool makes your downtime feel like a staycation with luxury loungers, picnic tables with brightly colored umbrellas, and cushy cabanas. For an invigorating workout, head to our fitness center equipped with free weights and endurance equipment. You can even watch the Aggie game on our flat-screen TV while you work out. 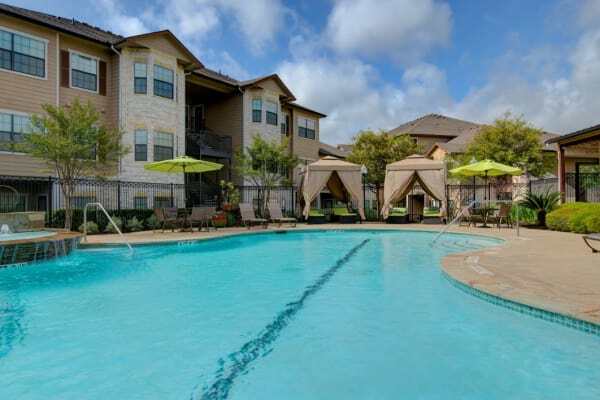 Park Hudson Place is situated near Tiffany Park, just 4 miles west of Texas A&M University. Students will enjoy a short commute to campus, while those in the business world will appreciate the easy commute thanks to our close proximity to State Highway 30. At Park Hudson Place, we place you right where you need to be. Call our leasing team to schedule your in-person tour, today!